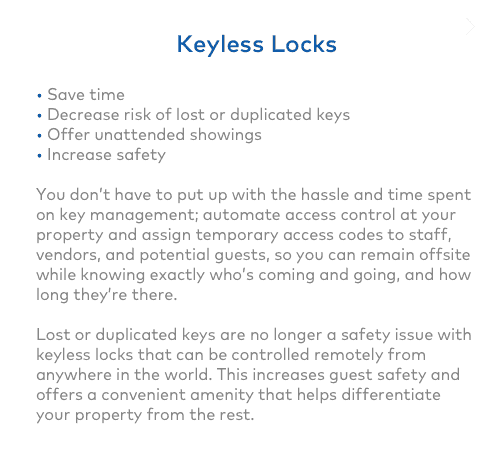 Our system automatically delivers to every guest a lock code that is activated on the day of arrival and expires upon check-out. 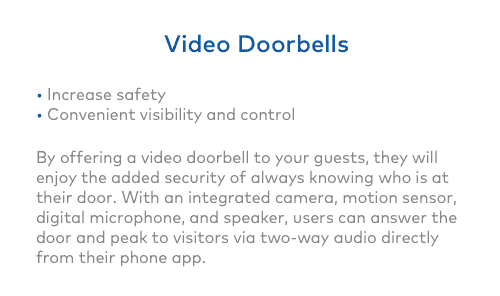 Be more aware of your property through driveway and doorbell cameras. The thermostat(s) in your property will automatically adjust (and re-adjust throughout the day) to an energy-saving level when the unit is vacant. 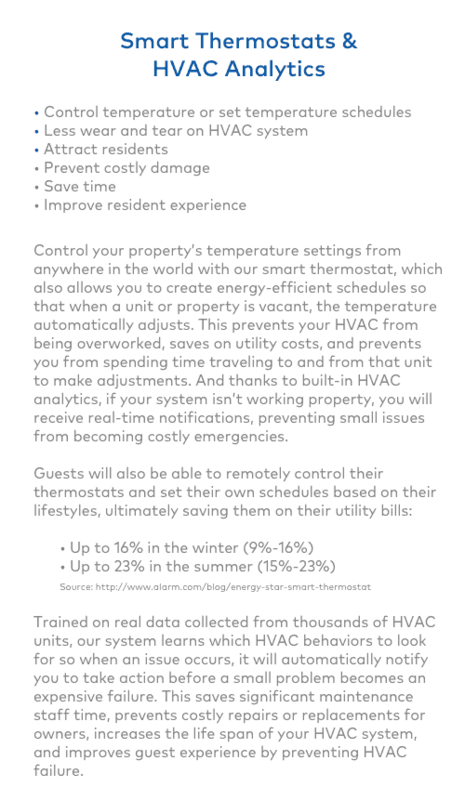 When occupied, your guest has local control of the thermostat. 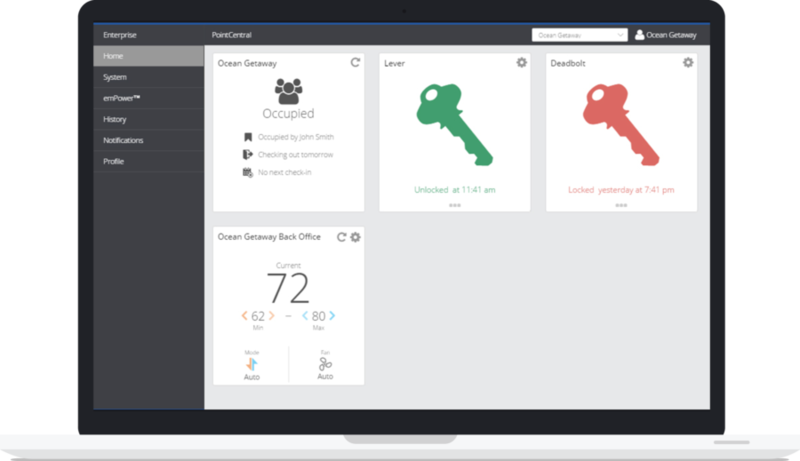 Our solution lets you assign a code to any approved vendor, with unique access privileges (like the maid being able to access every Sunday, but the plumber only having access when you say so). 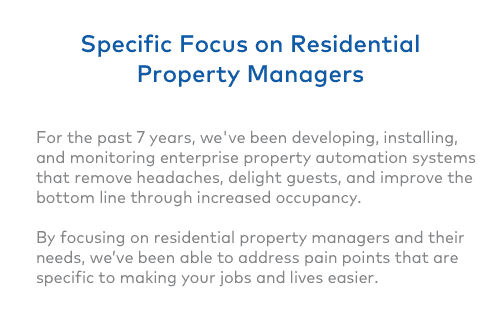 Differentiate your properties by offering tenants a feature they want. 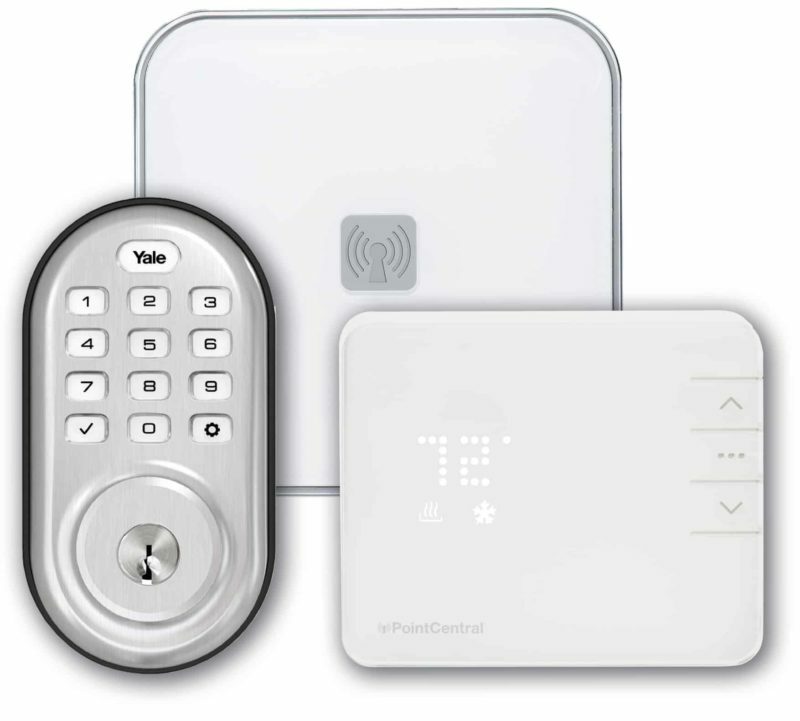 Guests pay more to stay in rentals equipped with home automation. 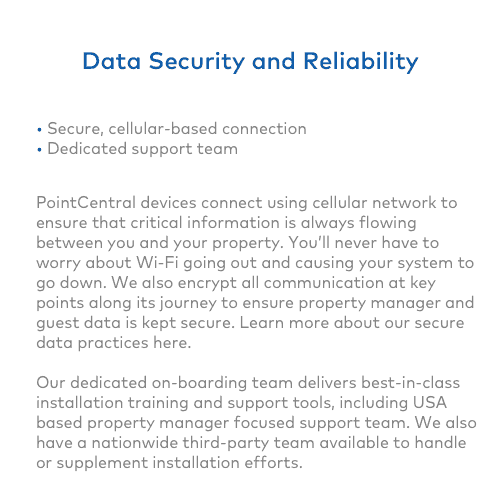 Compatibility with Amazon Echo and Google Home voice assistants allow guests to easily adjust temperature, turn lights on/off and play their favorite song to help enable the perfect vacation! Due to high demand, potential customers who manage less than 25 housing units are temporarily on hold until we can work through our current backlog. 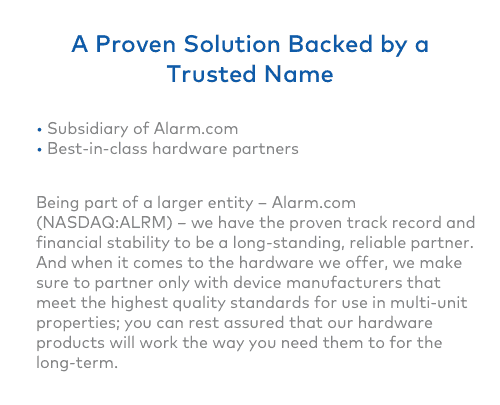 We will add your information to our database and reach out as soon as we are able to take on new customers. 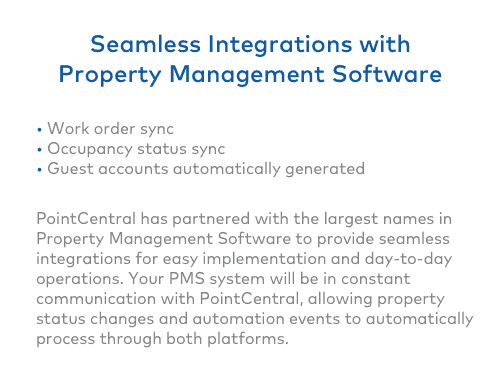 If you are transferring your account to a property management company that currently uses our system, please ask the Property Manager to reach out to their PointCentral contact. We apologize for the inconvenience. Thank you for your time.